The first rule of gatherings is ‘always promise food‘, even better if you are promising cake. 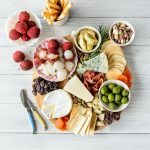 You know it’s true – book clubs, catch-ups, training sessions and even dreaded Friday afternoon meetings are made better with the anticipation of treats. First, make them wait for the cake. Second, get through your information efficiently with clear messages and calls to action because you can’t have cake until the end either – and remember to always start by telling the audience what you will be talking about. 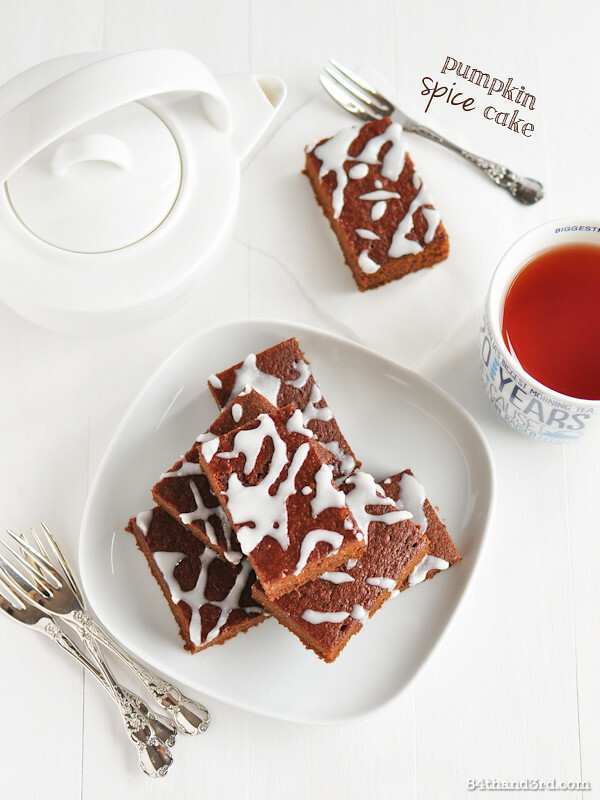 serving cake – well at least a recipe for a gorgeous Pumpkin Spice Cake! Cancer Council’s Australia’s Biggest Morning Tea event has reached huge milestone this year. They are proudly celebrating their 20th anniversary of raising awareness and funds for cancer research, prevention programs and support services. This year will see over a million Australians get together during May to share a cuppa and show their support for the estimated 110,000 Australians who will be diagnosed with cancer this year. I was honoured to attend a special morning tea event at Chez Dee in Sydney with Cancer Council NSW. We heard from ambassadors Barry DuBois who shared his own store about his ongoing battle with cancer, and Sarah Wilson who made us pause by opening with the thought that “people coming together is what really matters”, and I learned a bit more about what Cancer Council does. Cancer Council NSW is the fifth largest charity in Australia and is 97% fundraising supported. This means they are not at the mercy of government budgets but it also means that events such as Australia’s Biggest Morning Tea are pretty important to keep it all running. What does Cancer Council NSW do with the money raised from Biggest Morning Tea events? Patient and carer support services: having witnessed first hand how hard cancer is on the families and friends of those with the disease, services such as nationwide support groups, legal and financial advice, home help and life after cancer programs are invaluable. Research: the number of people who die from cancer has fallen 13% in the past 10 years, much of this is due to breakthroughs made in cancer research projects. 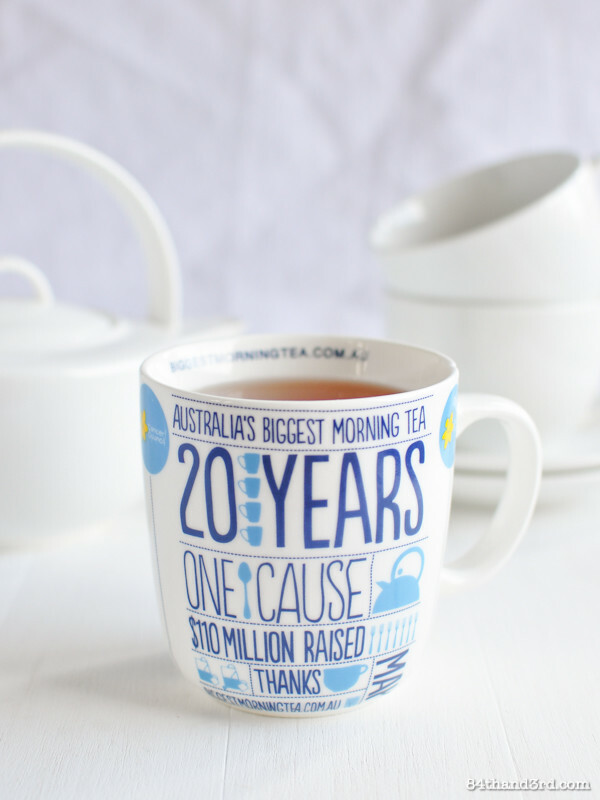 Donate to Australia’s Biggest Morning Tea. I’ve registered and you can donate via my event page by clicking here. I’m not one to door-knock or pressure for donations but if you are so inclined, thank you in advance for supporting the work of Cancer Council NSW. 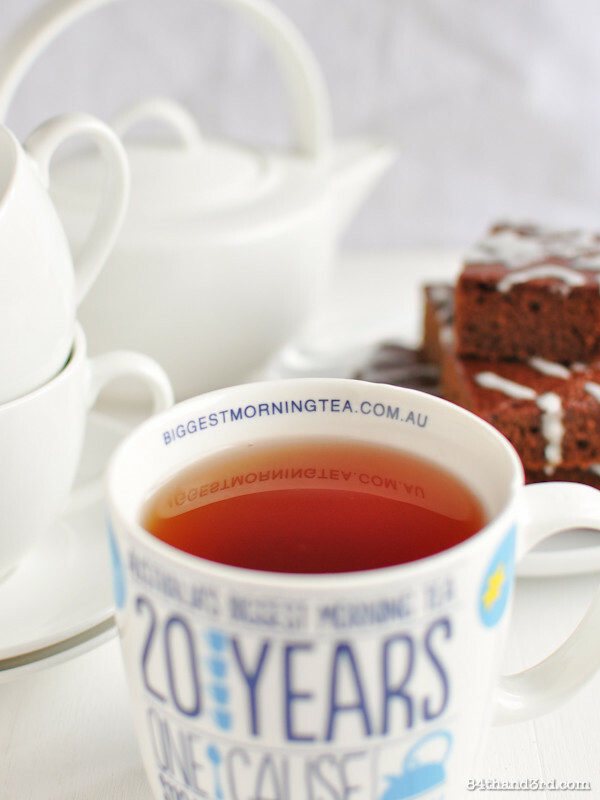 Raise awareness of the research, prevention and support services provided by the Cancer Council by telling others about Australia’s Biggest Morning Tea. Many years ago we cut sugar [along with about a dozen other things] out of our diet so I’ve followed Sarah Wilson’s I Quit Sugar initiative [crusade?] with interest since it launched. After her I Quit Sugar program was so successful, she decided to release a cookbook of low-fructose and fructose-free recipes to support readers on their IQS journey. Sarah is an ambassador for Australia’s Biggest Morning Tea, and thanks to Cancer Council NSW I have two signed copies of her I Quit Sugar Cookbook to giveaway to readers. I only recently got my hands on a copy of the e-book version so I’m a bit jealous that you’ll have copies of the printed one! With meal and snack ideas for all times of the day and all sorts of diets – including many gluten and dairy free options – the book is a great resource for anyone, whether you are quitting sugar or not. Remember, you can sill purchase an e-book version of the IQS Cookbook by clicking here! 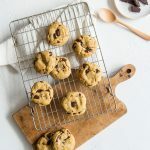 In other news Sarah just is released a brand new IQS Chocolate e-cookbook and I have a recipe appearing in it, make sure to pop over and check it out! So if you are going to hold a Morning Tea you’ll need recipes – remember what I said about food and gatherings? 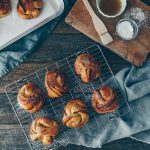 The Biggest Morning Tea Ambassadors have shared some of their own favourite dishes but in the name of a virtual morning tea I figured I’d share a few more. 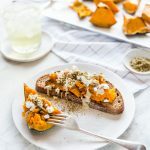 The recipe for Pumpkin Spice Cake is below, you’ll find a Vegan Chocolate Fudge here and this Pear, Caramelised Onion & Goat Cheese Sandwich would make perfect bruschetta bites. As a reward for making it this far, you’ve more than earned some cake! This cake tastes like a big warm hug. Fragrant from the spices, incredibly light and fluffy from the pumpkin and spelt flour, I fell in love at first bite. Make it for someone you care about and serve it with a big cup of tea. Preheat oven to 180C [350F]. Lightly coat a 9×13 inch baking pan [23×33 cm] with cooking spray or coconut oil and use a single piece of baking paper to line the base and two long sides. Sprinkle exposed short sides with a bit of flour. Stir dry ingredients together and set aside. In a large bowl, lightly beat eggs with a whisk. Whisk in oil, syrup, molasses and vanilla until combined, whisk in pumpkin puree. Stir in half the dry ingredients, then the almond milk, then the rest of the dry ingredients until just combined. Pour into prepared pan and smooth top to spread the batter evenly. Bake in pre-heated oven for 18-20 mins until a toothpick inserted into the centre comes out clean. Cool in pan 5 minutes then turn out and cool completely on rack. Drizzle with coconut butter, slice and serve. Pumpkin: please make your own – you will never buy the canned stuff ever again. In a pinch steam it, but if you have a bit more time roasted pumpkin is fabulous and incredibly simple. You’ll want an 800 – 900g piece [< 2lb] for this. Nuts & Seeds: if you’d like, stir through a 3/4 c pepitas, chopped walnuts or pecans before pouring into the pan. I am working with Cancer Council NSW and Australia’s Biggest Morning Tea because I believe in what they do. I have in no way received compensation for this post because it’s for charity, seriously now. I’m definitely in your cookbook giveaway – I’ve wanted a copy of that cookbook for ages so I hope I win. 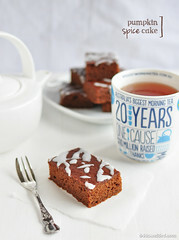 I’ll link up some things to your morning tea too! these look devine! i love adding coconut oil into my baked goods! 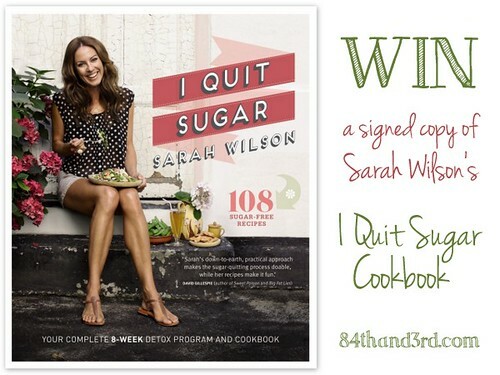 I would love to win a copy of Sarah’s I quit Sugar for my friend. She has recently had a fall at work and broke her femur bone. Her docotor has recommened she gives up sugar to help the healing process, and I think this book would give her lots of ideas and inspiration! Wow, interesting as most doctors still don’t outwardly recognise the connection. Good luck! Brilliant gathering JJ. You kept it interesting and rewarded with cake. I’m very interested to read Sarah’s book. I haven’t totally cut sugar but I’m definitely looking for ways to cut back on it so I’d love this! Will have to decide which recipes to link up. Having just been diagnosed with GD (yesterday!) sugar is definitely a sensitive and topical subject for me. Would love to know how I can make yummy things without sugar! Oh goodness, at the very least make sure to check out Sarah’s site! thanks for the suggestion to host a morning tea. I plan to do one at the office. Great cause and it will give me reason to bake big cakes rather than little one just for me. I love anything pumpkin spice, these bars look wonderful! I love the use of pumpkin in baking! It adds a really sweet and moist texture to a cake! Pumpkin is so incredibly versitile in cooking and with the right subtle spices can certainly lift a dish! I have initiated a morning tea at work and am planning on bringing this Pumpkin Spice cake to the table! I love her care-free style, her recipes and the food advice on her blog. I started using coconut oil this month and I think I am losing weight! I’m a little worried my cholesterol will go up though, but she along with Dr Oz have said that cholesterol is like a bandage that fixes the damage sugar does to our bodies. Based on my own research, I don’t think high cholesterol is a result of eating too much saturated fat. Our bodies are meant to metabolize fat (but not sugar or processed junk). I really like that she eats chicken skin and pork crackling and even cooks with bacon lard coconut oil and ghee. This is all safe to eat as long as you you’re not eating a sugar and carb-heavy diet. I am trying to limit my intake of sugar but not ready to give up it completely. Moderation I suppose. So many go into thing blindly, it looks like you are quite aware of what you are doing! If anything cut out all processed sugar and added sugar. I do still eat fruit but am much more aware of how much. Good luck! These little pumkpin squares look gorgeous! What lovely cake. 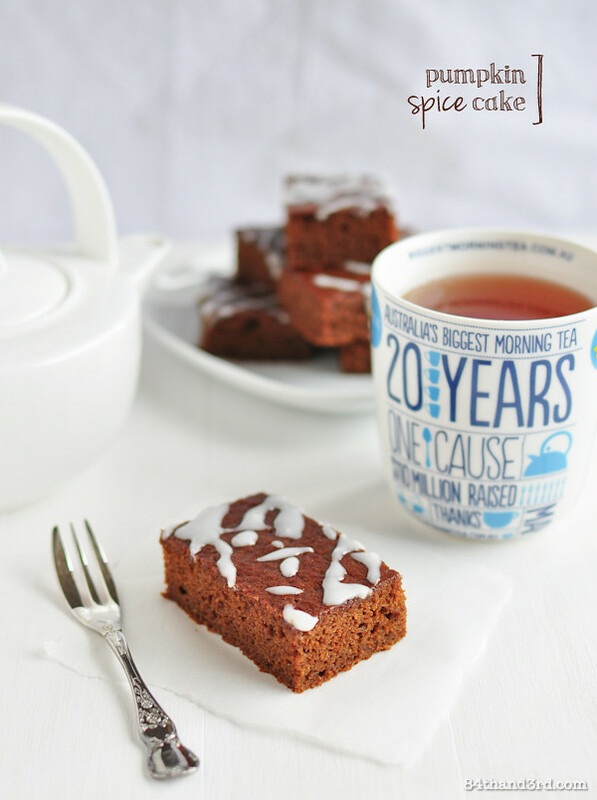 I really like a spice cake and you’ve “pumped” it up til I can’t resist making it. Really great cake with morning tea! 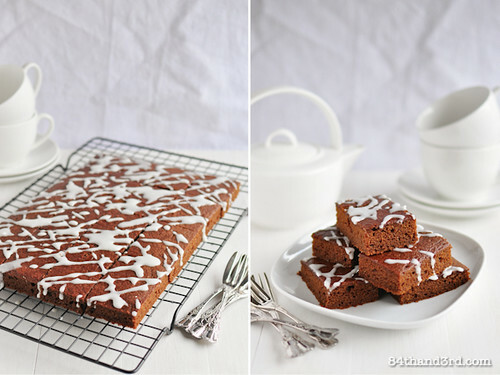 Your pumpkin spice cake looks amazing. Going to have to make that. Your brother and I made these last week and we devoured half the pan that night. These are soooooo good!! !